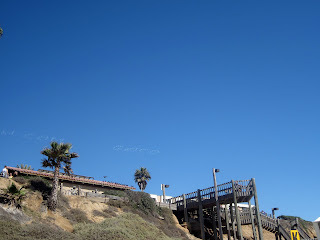 Skywriting in Pacific Beach, Ca. 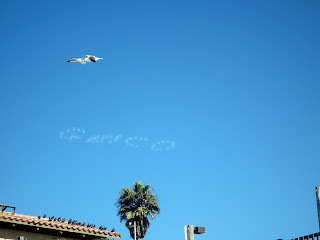 It was so nice to see a change from the typical banner advertising. It was kind of cool to see how watch them make the words with 5 planes. Unfortuantely, it was facing away from the beach so I didn’t see it (along with anyone else that was laying out at the beach) until I was walking back to our car.